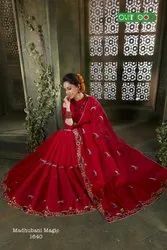 We hold expertise in manufacturing and supplying astonishing collection of Embroidered Cotton Saree that are designed using latest tools and advanced methods. They are quality approved and are delivered in different designs and prints. Minimum order quantity is only one full set. cotton printed saree with blouse pic. 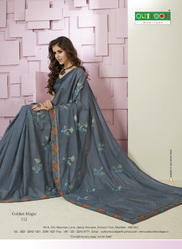 only poster pic of catalog. unique colors and fast colors. Only poster piece of catalog.